Jaideep Mulchandani manages client relationships and leads procurement technology projects ensuring client business objectives are met. Jai has 11+ years of experience in procurement services consulting and delivering global procurement transformations from design to deployment. He has strong consulting and disparate industry experience in process optimization, procurement transformations, contract lifecycle management, supplier relationship management and integrating procurement platforms like Ivalua, Ariba and Oracle iProcurement with various ERPs (SAP, Oracle, PeopleSoft, Yardi and JDE) and third party solutions. 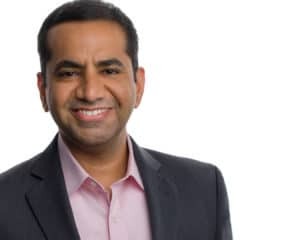 Prior to joining Nitor, Jai was a Director in Procurement Advisory practice at KPMG LLP where he was part of some major Ivalua implementations like City of NYC and State of Arizona. He was also a leader in Ivalua alliance. Jai graduated from University of Houston-Clear Lake in 2004 with an M.S. in Computer Science.